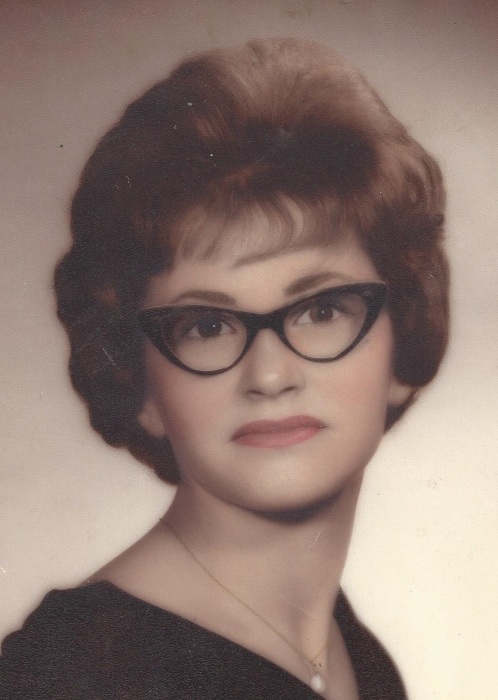 CERES, Pa.---Katherine “Ann” Cone, 75, of Ceres, passed away in her home with her loving family by her side on Monday, March 18, 2019, after a short illness. Born on Friday, February 18, 1944 in Hinsdale, N.Y., she was a daughter of Kenneth W. and Helen M. Loughrey Knapp. On February 27, 1965 in Portville, N.Y., she married Donald E. Cone, who passed away on May 9, 2009. Ann was a graduate of Bolivar (N.Y.) High School and later attended beauty school in Olean, N.Y. While Don was serving his country, Ann and Don lived in England. After returning to the United States, they moved to Ceres, residing there since the early 1970’s. Ann was employed at the former Hill’s Department Store, Park N’ Shop, and Big Lots, all in Olean, N.Y.
She loved going to the casino, playing the slots, and the crab legs at the buffet! Surviving are a daughter, Denise R. Cone of Shinglehouse; a son, Alan S. (Michele) Cone of Olean, N.Y.; seven grandchildren, Justin L. (Christa Kent) Bean and Andrew M. (Chelsea Wichert) Bean, both of Shinglehouse, Angelina N. (Nick) Sanders of Hornell, N.Y., KC Cone of Cuba, N.Y., Nicole Cone of Wellsville, N.Y., and Alan Schultz-Cone and Emily Schultz-Cone, both of Olean, N.Y.; three great-grandchildren, Aliyah, Harper, and Dexter; a sister, Pearl Nolan of Olean, N.Y.; two brothers, Brian (Mary Anne) Knapp of State College and Michael (Val) Knapp of Shinglehouse; and many nieces and nephews. In addition to her parents and husband, Ann was predeceased by two brothers, Pete Knapp and Kenneth Knapp; and a sister, Patricia Knapp. In keeping with Ann’s wishes, there will be no public visitation or funeral services. Burial will be in Maple Grove Cemetery, Shinglehouse. In lieu of flowers, memorials may be made to an ASPCA of the donor’s choice. Ann entrusted her care and cremation arrangements to Kevin J. Dusenbury, funeral director/owner of the Virgil L. Howard Funeral Home, Shinglehouse.